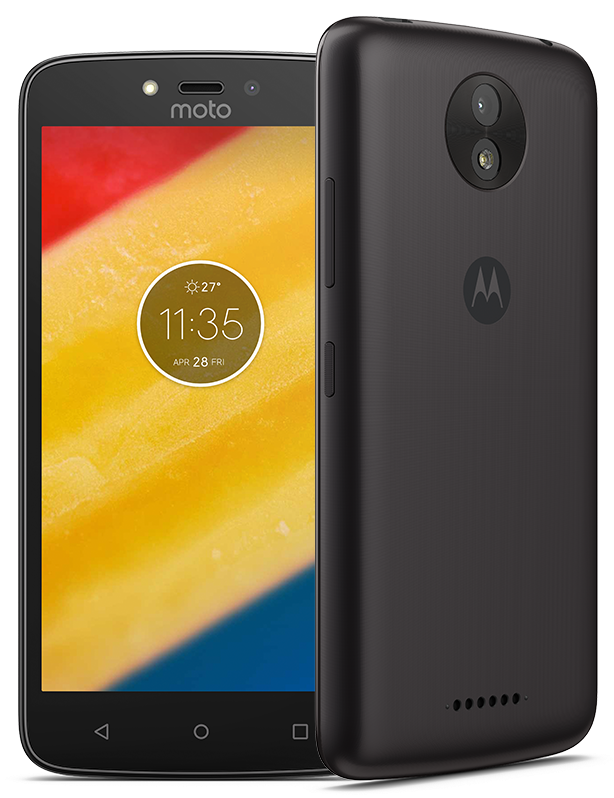 The Moto C Plus comes with a 5″ HD display packing 1280*720 pixels. The overall design picks up cues from its bigger cousins, but the build is more of polycarbonate and plastic in it to keep the pricing at bay. The camera design on the back too resembles the design language of Moto’s flagship but this one is without the bump. The phone has a thickness of 10mm and weighs a hefty 162 grams for its size. Under the hood, the Moto C Plus runs a Mediatek MT6737 which is a Quad-core SoC clocked at 1.3GHz and is coupled with 2GB of RAM. 16GB of internal storage is available that can be expanded up to 32GB via a dedicated microSD card slot. It has a dual SIM slot that supports 4G VoLTE on all major bands in India. On the camera front, the phone sports an 8MP shooter with f/2.2 aperture, autofocus, and LED flash. There is a 2MP front shooter with a selfie flash. The key aspect of the phone is its massive 4000mAh battery that is removable and promises an elongated battery life of up to 30 hours on a single charge. It runs close to stock Android 7.0 Nougat with some minor add-ons from Motorola as usual. Quick charging is supported via the bundled 10W charger. The phone features capacitive keys for navigation and has a rear-facing speaker. There is no fingerprint sensor on board. 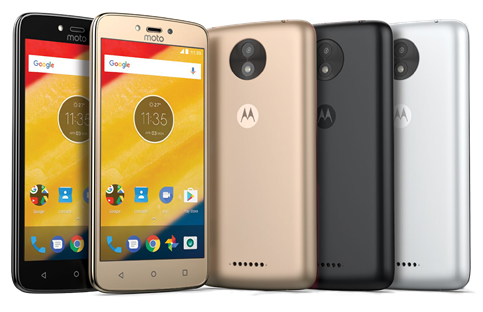 The Moto Plus priced at Rs. 6999 will be available for sale exclusively on Flipkart, starting 20th June at 12 noon. Color options include Pearl White, Starry Black, and Fine Gold. A couple of launch offers are also available for the early buyers.